Career Edge Funder | Which States Have the Top Talent? 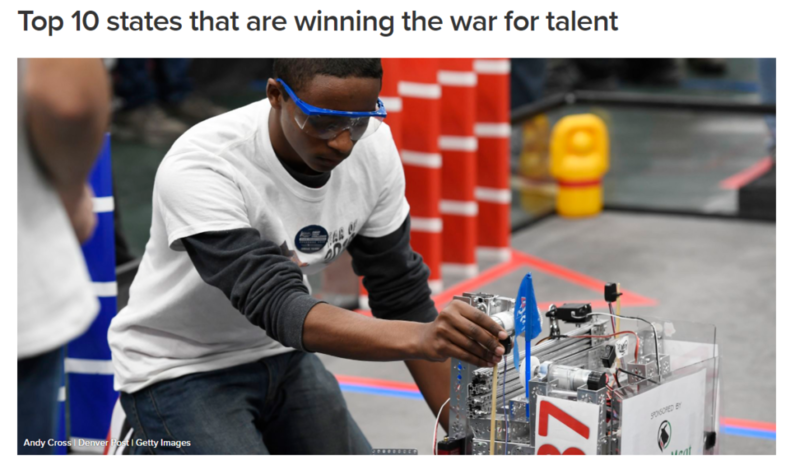 Which States Have the Top Talent? Skill gaps are prevalent across the nation, and CNBC launched a new exclusive called America’s Top States for Business to study and examine workforce challenges in all 50 states. One portion of the study shares details on the Top 10 States and who is “Winning the War on Talent”. The top ten were calculated by comparing the number of available workers, which states are doing the best to attract them, available education, “Right to Work” laws and more. Read more about the study here. CareerEdge Takes Part in SRQ Media Group SMARTgirl 2019!